It can be daunting, especially if you’re new to the promotional world and are unsure just how to utilize all of these social media sites most effectively. There is an endless sea of social media outlets that can really help your market your business or a specific product, but it’s true that navigating the waters can be tricky. That’s why we’ve compiled a to-do list of the most fundamental social media marketing strategies for small business promotion. You may think of Facebook as a social tool more than a business tool, but that identity is rapidly changing. When you create a business page, you can get customers and potential customers to “like” your page. Whenever you post an update to your account, or share something cool, they’ll receive an update on their feed. Try to make sure these updates are interesting! Don’t use the platform as a billboard, people come to Facebook for entertainment and if you bore them they will quickly “unlike” you. We’ll discuss good ideas for social media engagement in a second. LinkedIn, as a primarily professional platform, has a variety of extremely useful tools to help you grow your business. 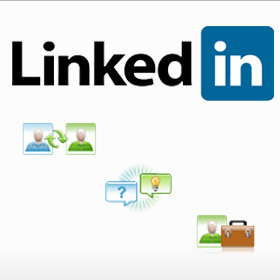 One of the most important services LinkedIn provides is direct contact with your clients. You can conduct surveys and do market research directly with the clientele using the Q&A feature. You can also find and link yourself to potential business partners and clients with the click of a button. Very efficient transactions and easy networking make LinkedIn a must for you emerging business. Twitter can be an arena for brutally honest dialogue between businesses and their clients, something that will likely benefit you in the long run if you are willing to respond to critiques in a way that improves your image and your product. 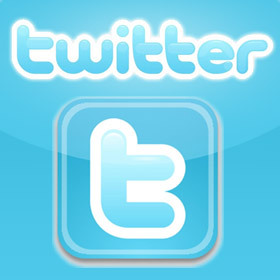 Twitter is also a great way to draw people into your other social media platforms or to link back to your website. Short, concise, and frequent tweets shouldn’t (and can’t, due to character limits) be used for longer format marketing strategies. Think of your twitter account as a broadcasting tool—it peruses the web and directs people back toward where the main sources of information are. Google+ has not impressed many in the realm of social media, given the anticipation of its arrival as a supposed “competitor” to Facebook. But when promoting a business, it is a valuable tool for the simple reason that whether or not people browse Google+ to find your business, you can bet they are browsing the Google search engine. 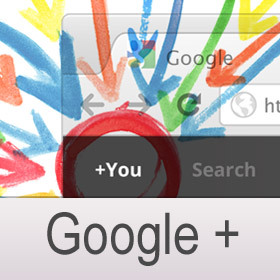 A well-maintained Google+ page will increase your page rank and authority, giving you access to all type of search engine optimization benefits. Your prevalence in a Google search is perhaps the single most important aspect of online business promotion, so it’s worth it to invest time into your Google+ account. Once you have all of your promotional tools set up, the real work begins. In order to maximize the effectiveness of your social media marketing, you will have to have a constant and creative presence online. Remember, you are trying to get people to come to you, so you have to be compelling and interesting. 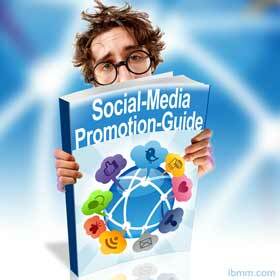 One common form of online promotion is through classic giveaways. Create some type of raffle where people who “like” your page will be automatically entered, with the chance of winning tickets to something. Visuals are also extremely important. And not just images. Videos and, in particular, webcasting are great ways to engage your audience and promote your product. 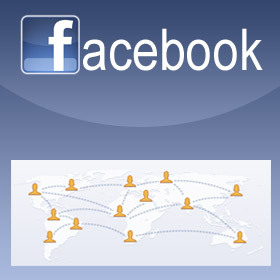 Encourage sharing of your posts on Facebook. You can even create incentives for people who share (a discount, for example). Sharing works exponentially, so even a small amount in the beginning stages can have a huge impact down the road. These are just a few ideas, but there are plenty more. The main idea is to get people interested in your account/page and keep them interested. Consider hiring someone to do this job for you full time—it might be a worth investment. If you make your way through this to-do list, you will be well on your way to successful social media promotion. It may sound complicated, especially if you are not a “tech-minded” person or are not familiar with these platforms. But the guys at Facebook, Twitter, etc. are actually hard at work every day making it easier and more intuitive for folks like us to use these tools, because that’s how they build their own company. Start learning now, and you may be very surprised at your level of success. Previous article: So You Want To Be An Entrepreneur?